Next post“50 shades! the musical parody”: when the dark comes to life… with a bang! Hi. I’m Mark Quijano, a gospel singer and a travel blogger. I know Emil. I first met him nong namatay ang Lola niya probinsya. I was there to sing sa funeral service. We chatted at sinabi niya sa akin that he liked my songs and that he wanted to be a singer or a musician someday. Nagkakwentuhan din kami tungkol sa kanyang karanasan as a cancer victim.After that meeting di kami nagkita because I went to back Korea. 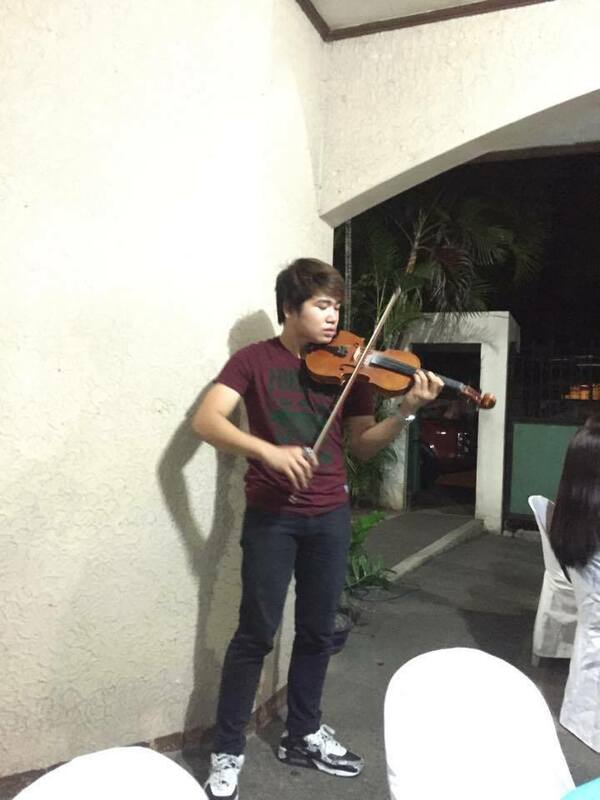 Last year, I had a gospel concert in Quezon city, so I invited him to play the violin and I was amazed, totally amazed with his God-given talent. Thanks for this blog. If you happen to meet him again, please extend my regards to him. God bless.